Chocology Unlimited | Chocology Today tagged "history"
Does Chocolate Increase Happiness and Productivity? At Chocology, research is one of our top priorities. Since we want to learn all there is to know about chocolate and pass that knowledge on to you, we’re always on the lookout for new chocolate covered theories. 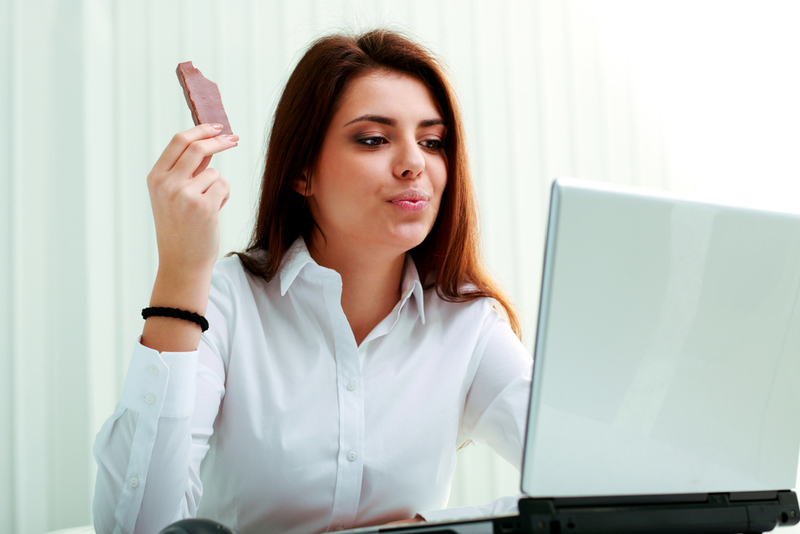 We recently heard that chocolate might play a role in helping people achieve higher levels of productivity. Well. . . at the very least, it might make people happier and then stimulate more productivity. In any case, a study organized by three university researchers, Andrew J. Oswald, Eugenio Proto, and Daniel Sgroi, set out to prove that happy people are more productive. You can find a full version of their paper entitled “Happiness and Productivity” here. You’re welcome to read the full report, but basically the trio compiled four control groups to study whether happiness had an effect on productivity. Two groups were shown funny comedian clips, one group was given free fruit, chocolate and drinks and the fourth group was asked to talk about a recent tragedy in their personal lives. All of the groups were then asked to complete standardize math quizzes to determine if the comedy or food improved their productivity in these tasks. The three groups that were given incentives did much better on the quizzes while the control group that talked about their misfortunes did worse. In fact, the happy producing incentives raised productivity by an average of 12%. Google is probably the most well known company to offer an array of workplace perks. It has been voted the best company to work for by Fortune.com for the last five years and productivity at Google has increased by 37% since these perks have been implemented. The driving force seems to be that the happier people are, the more productive they are. So, how does this relate specifically to chocolate? Well, at Chocology we believe that chocolate does raise happiness levels. We know scientifically that it activates the pleasure centers in our brain. History tells us that people through the ages have consumed it for it’s medicinal and mood elevating properties. In only stands to reason that if we eat chocolate, we become just a little bit happier, at least for the moments that we’re eating it. If the study by Oswald, Proto and Sgroi is accurate, then consuming chocolate should increase our productivity! It might be a stretch, but it’s a stretch we’re willing to make. Chocolate won’t hurt you and it just might make you happier and more productive. It’s certainly worth a try! How about you? Do you think chocolate increases happiness? Could happiness increases productivity? Have you seen incidents in which happiness increased productivity in your life? Comment here or join us on Facebook and let us know what you think. Since we’re talking about research, what kinds of things would you like to know about chocolate? Give us some ideas and we may choose it as one of our research projects for a future blog post.